Three siblings trading in beans on Adenekan Street, Alagbado, Lagos State, have been arrested by the police for allegedly selling “poisonous beans” to members of the public. 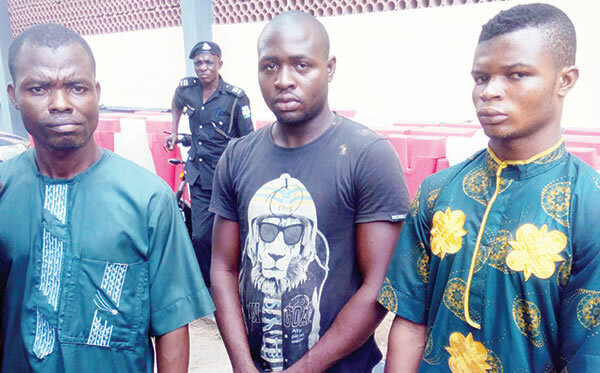 It was learnt that the traders – Faith Ogbona, Chidioke Ogbona and Sunday Ogbona – were arrested by policemen from the Alagbado division after being alerted by a woman, who caught Chidioke applying Sniper, an insecticide, on the beans. While Chidioke and Sunday were picked up on Friday, their elder brother, who owned the shop, was nabbed on Sunday when he went to the station to secure their bail. PUNCH Metro gathered that the shop had also been sealed off. The police said 41-year-old Faith had wanted to influence his brothers’ release by allegedly offering the divisional police officer a N500,000 bribe, which the latter rejected. 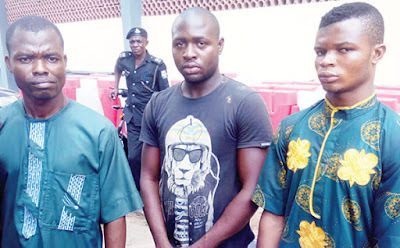 The suspects, who hail from Ebonyi State, were paraded on Wednesday at the Lagos State Police Command headquarters in Ikeja with some bags of the “poisonous beans” and some bottles of Snipers recovered from the shop. 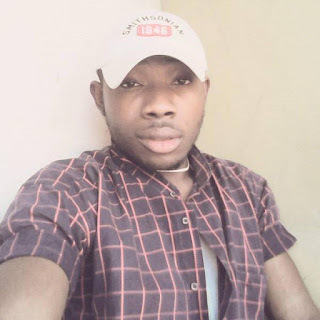 Eighteen-year-old Chidioke told our correspondent that he wanted to preserve the beans with the insecticide to prevent it from being infested with insects. He said it was his first time of putting the substance in the foodstuffs, claiming that he deduced his “preservation method” from the use of Sniper to kill rodents. Chidioke said, “I just saw it (Sniper) as something that kills insects and decided to use it to preserve the beans and kill the insects therein. I was applying the chemical for the first time when a woman approached me and warned that it was dangerous. Although the shop owner confessed that his suppliers in Maiduguri, Borno State, where he bought the goods, used some chemicals including Sniper and DD Force, to preserve beans, he said his brother carried out the act without his consent. Faith, who said he started the business four years ago, also denied offering the bribe to the DPO. He said, “I wasn’t around when my brother was caught putting Sniper in the beans. I was called on the telephone and I quickly returned to Lagos from Ibadan (Oyo State), where I had gone for a function. Sunday came to my shop when he learnt some policemen were there and he was also arrested. “Chidioke just came back from our village. He had never seen me put Sniper in beans. In Maiduguri, if my suppliers wanted to preserve beans, they put DD Force or Sniper in water and spray it on the beans. It will be stored for about three or six months, depending on the quantity of chemicals applied. However, Sunday said he just alighted from a motorcycle when the police arrested him. “I don’t preserve my beans with Sniper. I normally buy the quantity I can sell before insects infest it,” he added. The state Commissioner of Police, Fatai Owoseni, said the suspects would be charged to court after investigation. “The excuse the owner of the shop gave was that he was mixing pesticide with beans and that he had been selling it like that. He approached the DPO, thinking he could easily settle the case and get the two other suspects released. He offered her N500,000, but she rejected it,” the CP added.